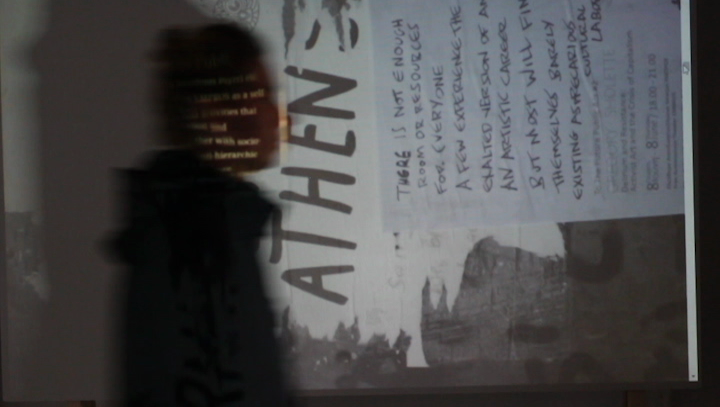 Today is the last day of documenta 14 and rather than retracing my steps over what happened between Athens and Kassel since April, instead I want to look to the future, specifically to an ongoing project that I first encountered in the Athens School of Fine Arts (ASFA) and then again in an exhibition organized in collaboration with the Kunsthochschule Kassel (KMMN). Back in June while visiting ASFA I noticed several posters for a talk by artist and activist Gregory Scholette and regretted not arriving a few days earlier. On each of these posters there appeared an image of the Trojan Horse which seemed to provocatively challenge the documenta 14 symbol of the owl as an alternative and more subversive model for art and activism in Greece. When I returned for a second visit to Kassel earlier this month, the Athenian friends I was staying with took me to an exhibition that one of them (Eleni Zervou) was participating in. 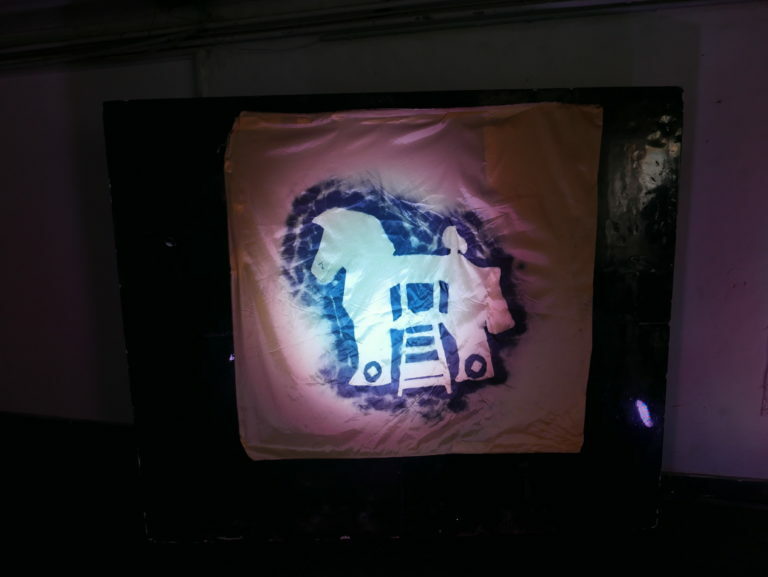 When I walked in I immediately recognized the same Trojan Horse image from Athens. I was then introduced to James Simbouras who was the organizer of the Scholette talk back in Athens as part of a project called To the Future Public under the aegis of the artist cooperative Contemporary Art Showcase Athens (C.A.S.A). The exhibition in Kassel, organized in association with KMMN, not only reactivated Scholette’ talk from June (with copies of his book as part of the installation), but also, amongst others, a project that took place in Omonoia Square as part of last year’s Athens Biennale called Acts of Engagement. Included in this project and documented in Kassel was Eleni Zervou’s Free Araf in which the artist collected wishes in the form of drawings in Omonoia Square made by a variety of people, young and old. 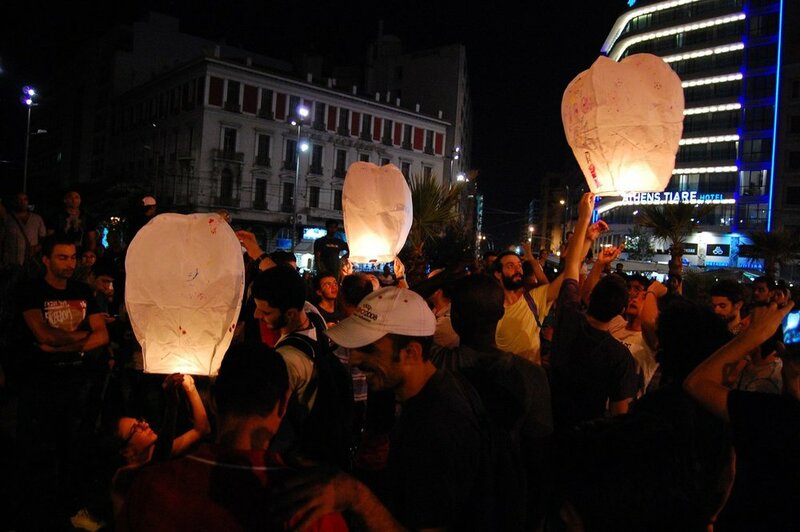 Many children used drawing to illustrate their wishes on flying lanterns which were released from the square. 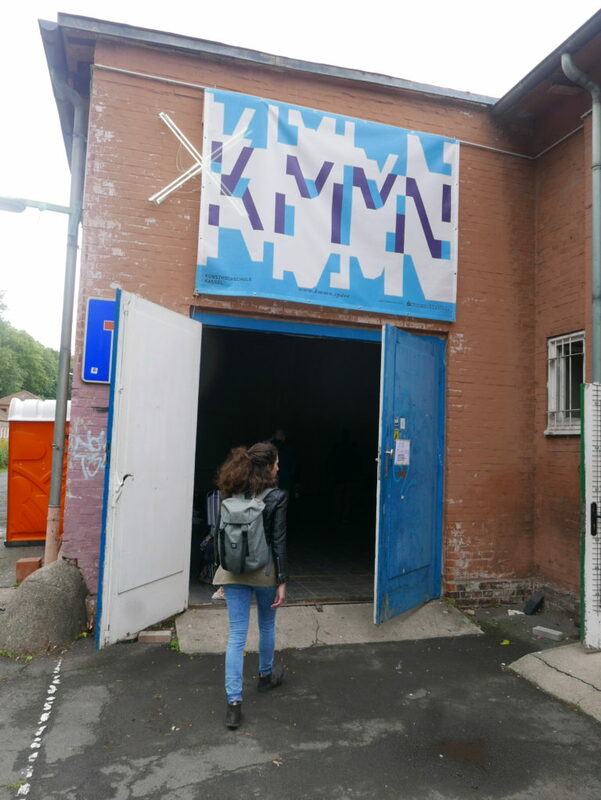 Finding Athens in Kassel in this way, as a hub for the reactivation of past projects and looking forward to a future public, was a timely reminder that so much of what happened at documenta 14 is unfinished. There is at least one artist still residing in Athens – Rick Lowe – as his project Victoria Square Project continues until April and perhaps beyond. As documenta 14 ends, one way for us to move forward is to continue to look to Athens and projects that are continuing, such as the Victoria Square Project and C.A.S.A’s To the Future Public. When Lucy R. Lippard in her article ‘Trojan Horses: Activist Art and Power’, described a form of art ‘based in subversion on the one hand and empowerment on the other’, part of that empowerment must come in the form of our own attention. 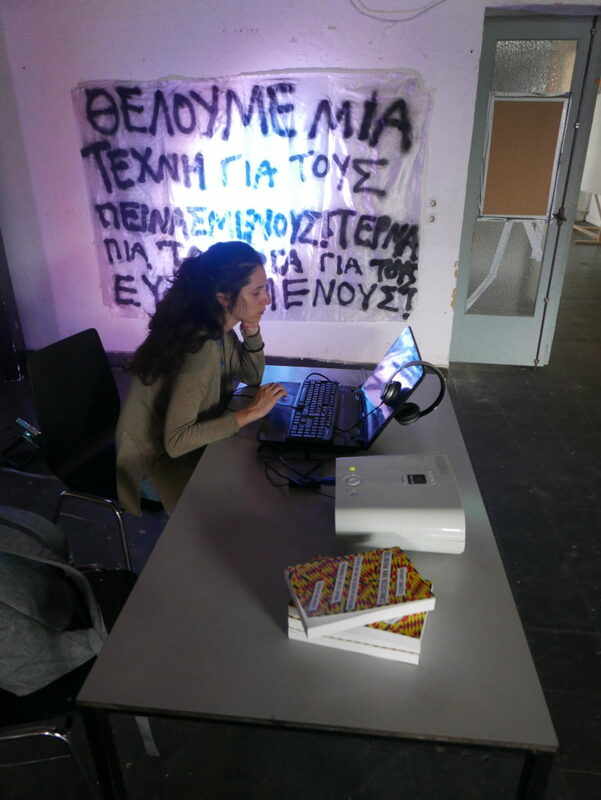 If we only look to Athens within the temporal and institutional frameworks of documenta 14, then what we can learn is seriously restricted and limited. For my own part, I am determined to continue learning from and with Athens over the coming years, both as a Classicist and in writing Minus Plato, within the legacies of documenta 14 and beyond. 12 - 17 Αυγούστου Artist Residency: Marta Lodola: ACTIONS AGAINST BORDERS - BREAKING POINT. Τo residency πρότζεκτ της Marta Lodola, με διάρκεια 12 – 17 Αυγούστου, υλοποιείται στην Αθήνα σε συνεργασία με τον οργανισμό OKK-ORGAN KRITISCHE KUNST, και το [mind the] G.A.P., στο πλαίσιο του προγράμματος για την τέχνη στον δημόσιο χώρο TO THE FUTURE PUBLIC του C.A.S.A.